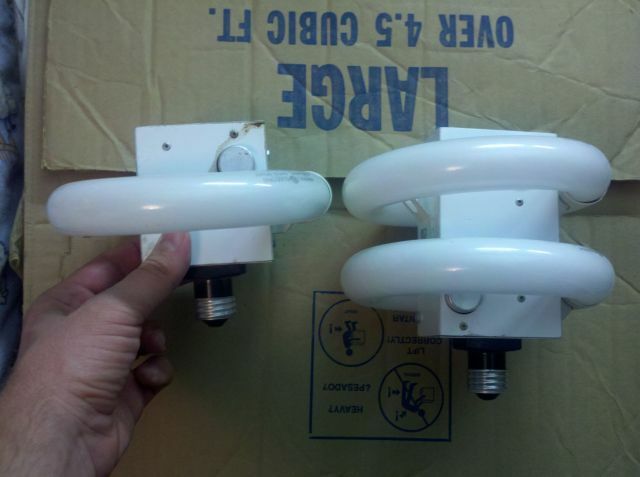 I showed the double lamp here a while back, now its time I showed the single lamp next to its double lamp brother. Both are classics from '77, well before the modern CFL lamps came out. I think GE was the first to sell a circline adapter called the Circlite, c. '75-'76. The tube went EOL and stuck the starter recently. I wish I had more of these, especially like the double one you have!! !